There is an institutionalized dilemma in Europe that counteracts social cohesion and stability. It is a result of the collision and incompatibility between declarations of universal values (such as human rights and democracy) and institutionalized actions which exclude and discriminate against Europeans of immigrant background and against ethnic minorities. 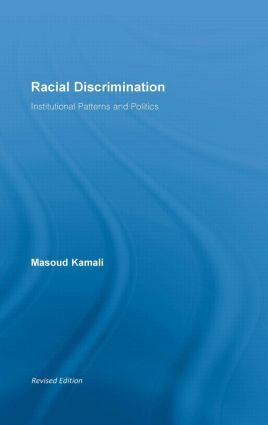 This book analyzes the institutional patterns and politics of ‘racial’ discrimination in modern-day Europe. Based on a research project that has been carried out under the leadership of the author in eight European countries, Racial Discrimination seeks the answers to some of the key questions posed by the latest developments in European political and public spheres concerning immigration and the increase in xenophobic sentiments and parties. The book will appeal to all social and political scientists interested in the latest political developments in Europe and in the problems of democratic citizenship and the efforts to move toward an integrated European community.